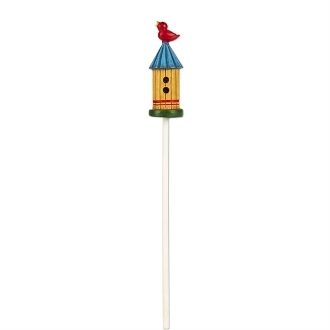 Blue Roof Birdhouse with Bird for Merriment Mini Fairy Gardening. Full Description: With a singing bird perched on the roof, this birdhouse will bring color and cheer to your mini garden! Features all-weather paint. Made of resin.